UAE GRAND TOUR OVERLAND (trip 1) - Dubai Offroaders - Just for Fun! The ambitious project of DO target is to explore the natural beauty within UAE. Divided into 6-7 separate weekend trips, the project is trying to cover most of the geographical area of country. 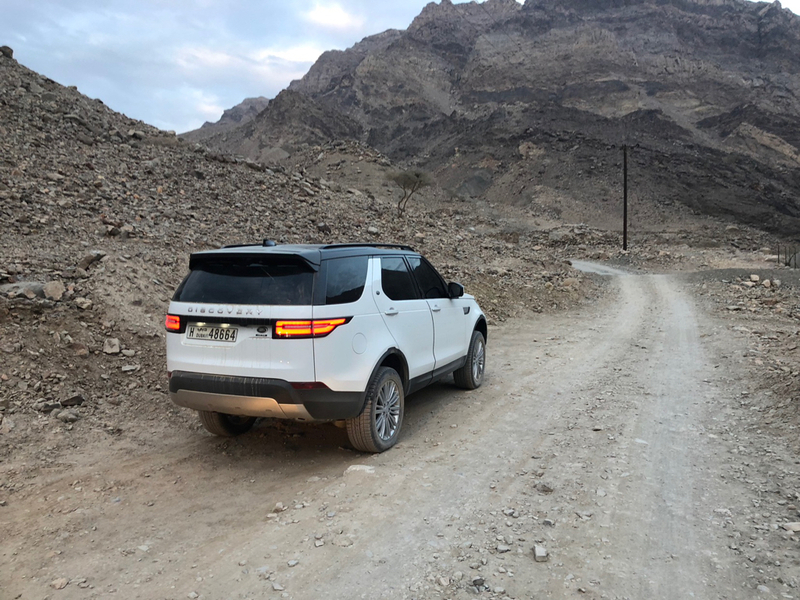 1- Driving mostly off road starting from Dubai to Al Aqah (Fujairah) through various terrains including sand, wadies, mountains and plains stretches. 2- Night camp at Al Aqah open beach depending on available camping space. 3- Diving back to Dubai mostly off road from other route. Al Awir, Al Dhaid, Maliha, Maghribiyah, Wadi Mamdouh, Masafi, Wadi Shees, Madha, Khor Fakkan, Al Aqah, Dibba, Al Uyaynah, Asimah, Tawi Ghayl, Al Manama, Falaj Al Mualla, Batayeh and Al Awir again. - Driving mostly is going to be on established off road tracks along the routes. - Drive is open to all levels registered members. - Camping and joining second day drive is optional for whom like to skip that. - Lunch break of 30 minutes stop at the middle of the day. - Participants might carry their own food, water, beverages and camping gear. - Trip destinations offers many opportunities for nice photography. - Compatible radio and air compressor are a must. Vehicles without these are not welcome to join. - Drive is going to be on some tough, harsh, stony and rocky surfaces and could make some damage to tires, so, if your tires are worned out or you like to keep them as new, please stay home. - Starting the drive with tank full of fuel is very important and it’s recommended to carry 10 L of fuel jerry can. - Keeping on schedule is the key for successful trip, so, being on time and avoiding wasting time is important. - Trip operator has the right to change driving route, camping spot or other parts of trip plan according to safety requirements or other reasons related to best trip management. - Your kids safety is your responsibility so please keep eye on them. -DO MARSHALS RESERVE THE RIGHT TO DENY PARTICIPATION OF ANY ILL-EQUIPPED OR UNSUITABLE VEHICLE! -A FULL TANK OF FUEL IS A MUST! AND MOST IMPORTANTLY HOW TO MANUALLY INPUT A FREQUENCY!! Hi Shamel, im tentatively in,, if not traveling. Congrats on your first drive post!! Thanx Asim, I'm glad to know u r joining. See u then. This must be fantastic.... I'm in!! Dear all participants, here are some more clarifications. Driving distance is around 200 km for the first day and 150 km for the second. It's going to be a long full day of mostly off road driving in low speed. So, it's not like a quick picnic and requires some patience. In other hand it's full of beautiful sceneries and a lot to explore and enjoy. Please make sure to be on time at the meeting point so we can have a successful trip. I'm tentatively in for this too! Just need to re-confirm work schedule. The rocky roads are similar to jebel jais roads (picture attached)? Just want to check how tough would it be. The target is to end at Aqah beach at least 1 hours before the sunset, so that everyone can enjoy the beach. It depends on how much the convoy is performing in matter of progress and time management. I will be doing my best but I cannot guarantee cause this is a group drive activity and some delay is possible for any unexpected reasons. Tracks are various terrains and mostly like your photo. Sometimes it could be more tough. We gonna manage that by controlling tires pressure so everyone has to have air compressure. I was just created a Whatsapp group for us to keep in touch and for sharing the trip photos and videos. I found phone numbers from our DO website member info. If you like to be added to the group please provide me your whatsapp numbers on SMS or on Whatsapp.